Audio Network, a London, UK-based international music company specializing in music for film, television and video, received a minority investment from from Stripes Group. The amount of the transaction was not disclosed. Stripes Group, a New York-based technology and consumer-focused growth equity firm, acquired an approximate 27% equity stake in the company with the majority of its stake purchased from early angel investors. Audio Network’s Founders, Composer Founders and Management Team will maintain more than 80% of their original holdings post the completion of the transaction. The company intends to accelerate the growth of its core business by expanding its originally produced and owned music catalog and by the entry into new international markets. It will further innovate the technology platform, enhancing their clients’ ability to search, discover and use its library globally. 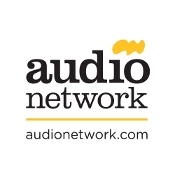 Led by Robert Hurst, CEO, and Andrew Sunnucks, Chairman, Audio Network has a catalog of over 64,000 original music tracks (which covers a full range of music styles from large-scale orchestral to hip hop and from country to rock). It which allows producers to make content for international distribution, emerging platforms and new media without the need to go through the process of clearing individual tracks or re-versioning productions. The company supplies music to some major international media clients, including BBC, HBO, MSN, MTV Networks, National Geographic, Ogilvy, and Endemol.